Jessie Graff is a professional stunt woman and actress. She was born on January 12, 1984 in New York City. She is a Black Belt in Tae Kwon Do, a Black Sash in Kung Fu, and is trained in five other styles of martial arts. She is also a championship pole vaulter and competitive gymnast who competed in gymnastic for the Frederick Gymnastic Club for six years. Jessie Graff is known for her work on Live Free or Die Hard (2007), X-Men: First Class (2011) and Transformers: Revenge of the Fallen (2009). 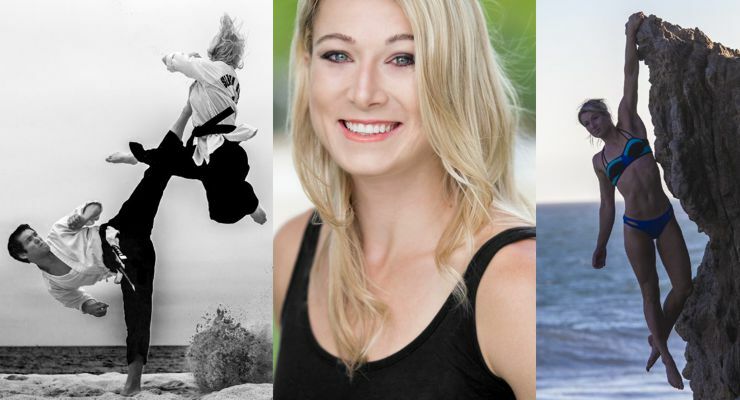 In 2002, Jessie Graff graduated from Urbana High School in Frederick, Maryland. In high school she was the track team Captain, she was an Honor Roll student, and she was a member of National Honor Society. After graduating from high school, she attended Georgia Institute of Technology where she majored in aerospace engineering before she transferred to University of Nebraska–Lincoln to study Theatre. She holds the Pole Vault record at both Georgia Tech and at Nebraska U.
Jessie Graff is famous for being the first woman to make it to the finals on American Ninja Warrior (2013-2015). She was also a contestant on Wipeout (2008).